If you are about to sell or donate your iPhone, then it is highly recommended that you wipe your iPhone clean so that your private and sensitive data is erased and there is no risk of privacy leak. There are many ways to wipe an iPhone clean. If protecting your privacy is your primary concern when resetting your iPhone, then it is highly recommended that you use iMyFone Umate Pro to reset your iPhone. This professional iOS data erasing software is equipped with advanced features that will allow you to wipe iPhone clean and make sure that the erased data is unrecoverable. 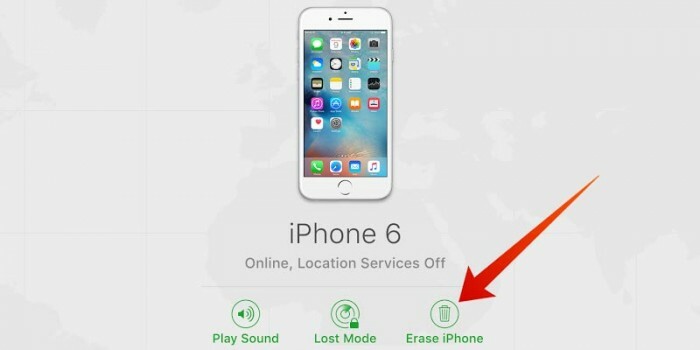 Erase iPhone data permanently. Data erased via Umate Pro is permanent and 100% unrecoverable. You can erase all kinds of data from your iPhone permanently via Erase All Data mode. It is much safer than a standard factory reset which may left fragments at device and may lead to privacy leak. 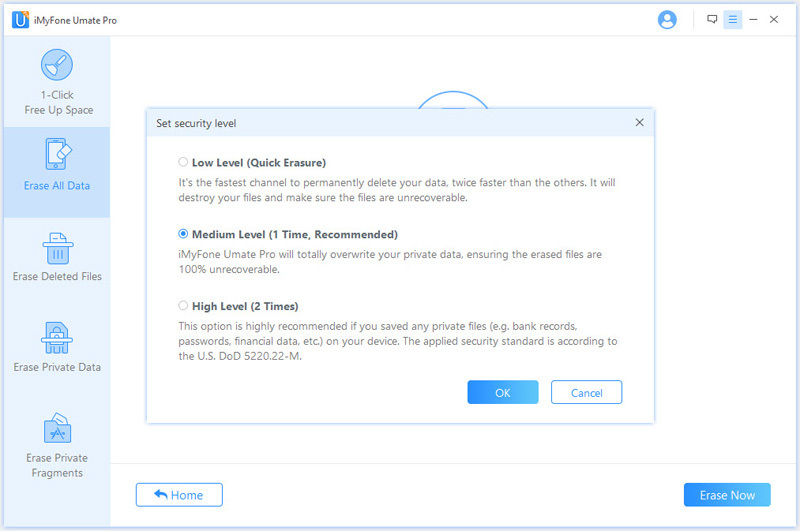 Permanent deletion of private data, third-party app data, temporary/junk files, deletion of multiple apps simultaneously, and many other features make iMyFone Umate Pro the best tool to erase iPhone before selling or giving away. You can also scan and erase deleted files from your iPhone via this software and make sure that no one can recover them. Step 1. Connect your iPhone to computer and launch the most popular iOS data eraser - iMyFone Umate Pro. Step 2. Select the Erase All Data mode on your computer and click on Erase button. Step 3. Choose a security level, here recommend you the High Level, this option apply the U.S. DoD 5220.22-M security standard, which will make sure all the data and settings on your iPhon will be wiped. Step 4. Manually input 'delete' and click on Erase Now button to wipe an iPhone clean. Resetting via the Settings app is one of the standard methods to wipe an iPhone clean that many iOS users use. It is a simple and convenient process and does not take a lot of time. Navigate to General > Reset and then tap on Erase All Content and Settings. Now you will need to input your passcode to proceed. After that, tap on Erase iPhone option shown on the warning box. On the next screen, enter your Apple ID and password to confirm your action. The reset process will begin. It is recommended that you remove your SIM card before resetting your iPhone via this method as resetting your iPhone via Settings with your SIM card inserted will erase important information stored on it. Data erased by this method can be recovered easily as there are still some fragments left, which may lead to privacy leak. You can also reset your iPhone via iTunes. Obviously, you will need a computer with iTunes installed on it in order to reset your iPhone via this method. Connect your iPhone via USB cable to your computer. Launch iTunes and backup your data via the Back Up Now button (optional). After the backup is successfully created, click your iPhone in iTunes. It will be shown on top of the window. Then find and click on the option called Restore iPhone. The reset process will begin. Your iPhone will automatically start after the reset. If for some reason you cannot restore your iPhone via the standard method, then it is recommended that you put your iPhone in Recovery Mode and then repeat the above-mentioned steps to reset your iPhone. It will be reset without any issues. Like the above methods, this method cannot erase data permanently. 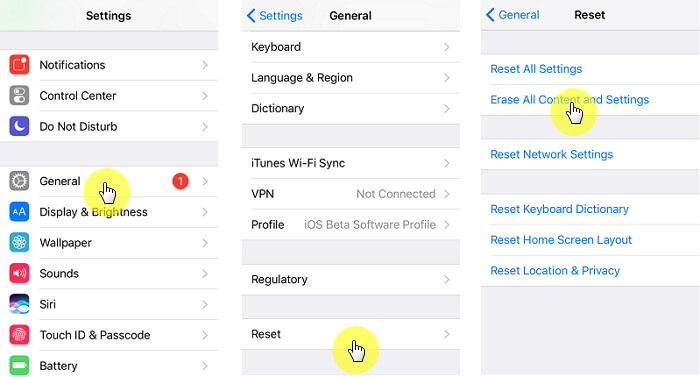 Another way to reset an iPhone is to use iCloud’s remote reset feature. You will need to use Find My iPhone feature of iCloud to do this. Visit icloud.com/#find on your favorite web browser. Log in using the same Apple ID and password that is linked with your iPhone that you wish to reset. After successfully logging in, click on Find My iPhone. Now click on All Devices and then find and select your iPhone from the provided list. It will display several options. From the list of options, find and click on Erase iPhone. Remote erase process will begin. iCloud reset method won't work if your iPhone is offline. If its offline, then the reset process will begin as soon as it is connected to a working internet connection. Data erased is not permanent and can be easily recovered via a data recovery software. So, the risk of privacy leak is still there even after the reset.